Creating and maintaining a climate of diversity and inclusion are priorities at the School of Medicine and, in particular, in the Department of Medicine. We recognize that diversity is an essential component in our efforts to continue, and to expand upon, the traditions of excellence in the School and the Department. 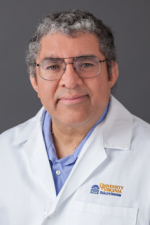 The Department of Medicine was the first in the School of Medicine to require all of its faculty to participate in unconscious bias training, starting with those faculty members involved in housestaff recruiting. That training has now been extended to the School of Medicine, with almost 1,000 individuals trained so far in an ongoing endeavor. The Department also piloted a new health disparities curriculum in 2015 for all IM housestaff. 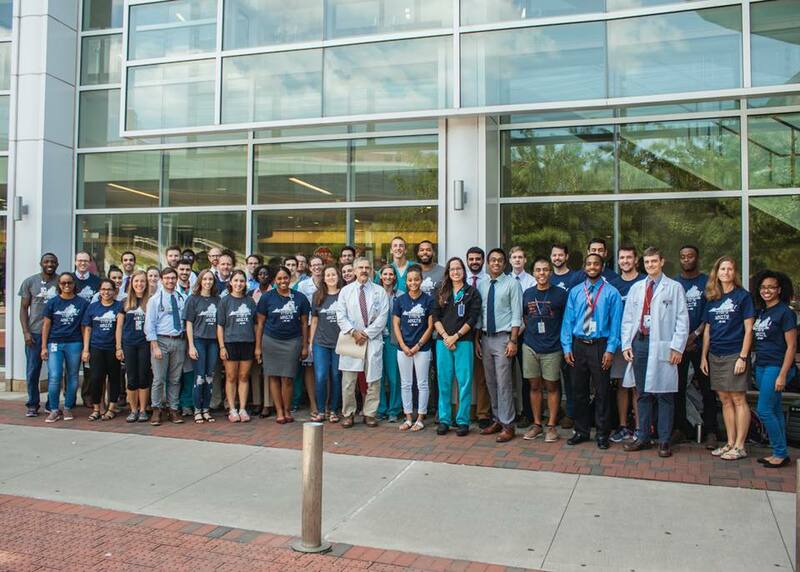 The Department of Medicine at the University of Virginia recognizes the great importance of increasing diversity at all levels of its organization — residents, fellows, and faculty. We also recognize that we have to continuously work to reach this end, to constantly work to recognize bias and inequity at all levels of patient care, education and leadership. We are strongly committed to accomplishing these goals and are striving for an inclusive and supportive training and mentoring experience for all housestaff. We believe strongly that a diverse housestaff encourages empathy and compassion within our hospital and community and provides the optimal care and teaching for our patients and learners. Our residents are engaged in didactics to address implicit bias and health disparities and receive training in managing conflicts related to bias and discrimination. We have instituted several annual Medical Grand Rounds to engage all faculty and trainees on this important matter. Our goal during the process of our residency interviews is for all applicants to receive an open and genuine exposure to UVA’s Internal Medicine faculty and housestaff and to the culture, mentorship, and experience of training at UVA. 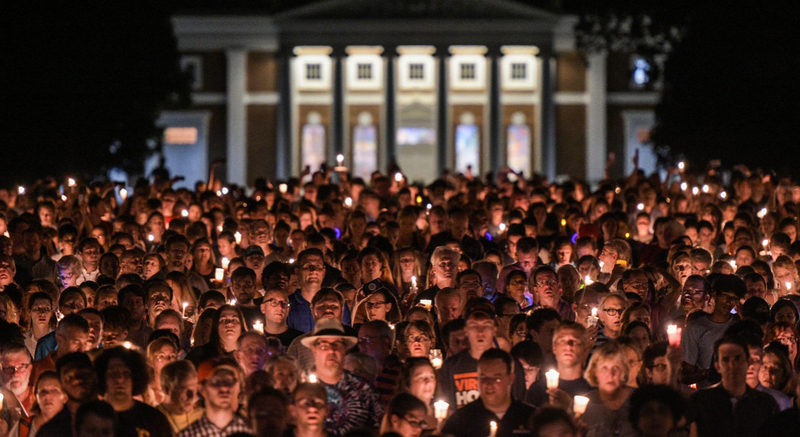 In light of the events in Charlottesville in 2017 and the ongoing work to engage in the work of healing and unity-building in our community, we feel it doubly important to address openly any questions that applicants to UVA might have about the community, program and institution that we love and call home. In addition to our normal interview days, we will hold some extended interview days (December 3, December 13). On these interview days, we will hold a brief reception following the usual interview day at which underrepresented minority faculty, residents, and fellows (as well as faculty and housestaff involved in activities to increase diversity at UVA) will be present to discuss life in Charlottesville, the training experience and opportunities that exist at UVA, and the commitment to increasing diversity at UVA and supporting underrepresented minority physicians through their professional development. On these two interview dates, this time of sharing and networking would be expected to conclude around approximately 4:15 pm. For applicants with questions about these interview dates or these programs, please contact Margaret Kuhlman or Dr. Brian Uthlaut, Residency Program Director. We would love for you to join us on any of these dates! For anyone who cannot accommodate one of these opportunities with their interview schedule, please know there are many housestaff and faculty that will welcome this discussion with you on any interview day. The Pinn Hall dedication honored Dr. Pinn highlighted issues of access for access for underrepresented minorities, especially African American women, as students, practitioners, and leaders in medicine but also as beneficiaries of medical care. Dr. Pinn (Med’67) was founding Director of the Office of Research on Women’s Health, National Institutes of Health. Dr. Sullivan was the 17th U.S. Secretary of Health and Human Services. Ms. Oliver is a UVA Generalist Medicine Scholar in the Class of 2018. Following the events of August 11 and 12, 2017, UVA President Teresa Sullivan charged a working group of deans and other University community members to lead the University’s response. Their mission is to assist the University community in recovering from and responding to the violent demonstrations by white supremacists on our Grounds and in Charlottesville. They seek to first recover from violence, from bigotry, from vulnerability. They are also charged with tasks that are both short-term and long-term; they are about physical safety and emotional well-being; they are as practical as revising policies and as lofty as advancing human progress; and they will require us to examine what we need to do within our own community and ask what we can do beyond it.